Samuel P. Huntington underscores the impact of globalization in The Clash of Civilizations, arguing that civilizations are replacing the nation-state as the major actors in history. However, neither Friedman nor Huntington appreciated the impact the megacity will have in the 21st century. The first characteristic of the 21st century megacity is its demographic dynamism. During my January 2018 vacation in Dubai, I was struck by the diversity of employees staffing everything from the passport control booth to the cleaners of the rooms in my hotel. Over 80% of the residents of the city and United Arab Emirates were temporary foreign workers with no chance of becoming citizens. Workers from Pakistan, Bangladesh, India, Thailand, the Philippines, Africa, Europe, and the U.S. made the city run while a handful of local managers ruled the wealthy oil producing city. I ate at small restaurants run by South Asians, my hotel room was cleaned by a Nigerian, the receptionist was from the Philippines, the banker I met was from New York, the guy who ran the Internet café was from India, and the dentist I had to visit was from Russia. An estimated 15 million shoppers flock to the tax-free city every year. I couldn’t help feeling I was visiting a futuristic space colony with a constantly changing staff. No one I met dreamed or hoped of becoming a citizen, calling Dubai “home,” or settling in for the long term. The great cities of the world have always been magnets for both national and global migrants. But Huntington argues in Who Are We? : The Challenges to America’s National Identity that the American melting pot managed to blend millions of English, Scotch, Irish, Germans, Italians, Orthodox Jews, and Puerto Ricans into “Americans.” However, by the eve of the 21st century, the fire had gone out. The residents of Dubai and the other cities of the world barricade themselves in ethnic ghettos, with houses of worship, newspapers, social clubs, libraries, bars, orphanages, sports clubs, restaurants, and grocery stores, and see no need to adapt. English is the official language of the new millennium, everyone eats hamburgers and drinks beer, mass communications keeps them in touch with their global friends and family, and computer programming and nursing are global professions. 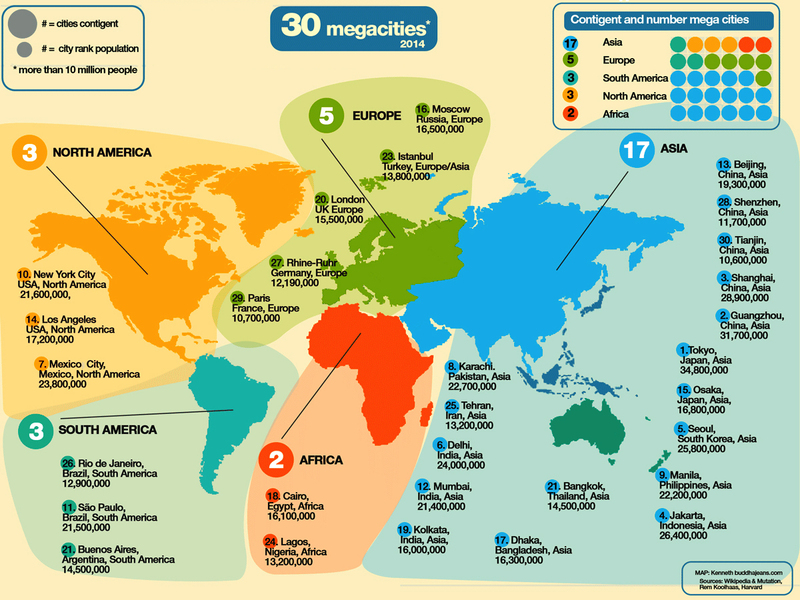 The Chinese in Dubai, Koreans in New York, Russians in Rio, Arabs in Paris, Turks in Berlin, Pakistanis in London, and Indians in Lagos pass easily from one megacity to the other. The second characteristic of the 21st century megacity is its growing political independence from surrounding nation-states. Like many dynamic megacities, Shanghai is chafing at the bit to forge its own path in the 21st century. It hosts a myriad of ethnic neighborhoods populated by an ever-changing population of foreigners. Alongside Americatown, there are Africatown, Frenchtown, Japantown, Israeltown, and Russiatown. The Communist Chinese government is attempting to chart a path for the 21st century that will preserve the unity of the Middle Kingdom, the dominant role of the Communist Party, and centrality of Beijing in the nation while simultaneously acknowledging the autonomous aspirations, goals, and identities of megacities like Shanghai. The government granted Hong Kong and Macau the status of Special Administrative Regions, Shanghai is a Special Economic Zone, and other cities have varying degrees of autonomy. The 50-square mile autonomous free trade zone of Shanghai already has autonomous Internet freedoms, arbitration and judicial institutions, money exchange rules, residency and immigration conditions for Chinese and foreigners, educational policies, religious rights, and many other unique conditions. Global warming, air pollution, public transportation, economic development, immigration, and press freedom are pressing issues for all coastal megacities, while the national politicians in distant capitals have differing priorities. Bi- or even trilingual education is an urban priority while national leaders seek to impose the national language. Autonomous, even independent cities, have long played an important role in history but their fate was generally incorporation into emerging kingdoms and empires. Alexander the Great conquered the city-states of Greece, the Baltic Hanseatic League cities were absorbed into the Russian, Polish, German, and Scandinavian kingdoms, and the Swahili coastal trading cities of East Africa lost their independence. However, in the flat world described by Friedman, megacities are finding that economically, demographically, culturally, and politically, they have more in common with other megacities than with the nations in which they are located. 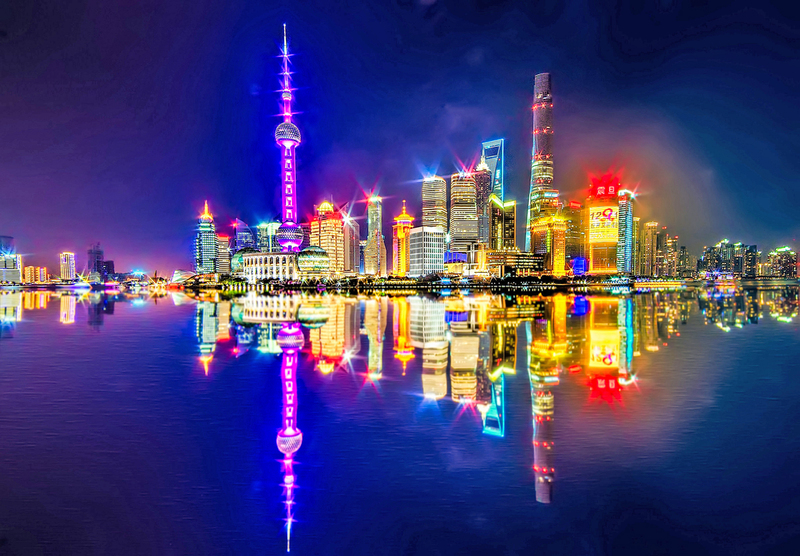 Like New Yorkers, many residents of Shanghai possess multiple passports, speak several languages, have homes in America and Europe, maintain off-shore bank accounts, consider their corporations as their primary loyalty, and are equally at home in any global megacity. They resent the heavy hand of Beijing’s communist rulers with as much anger as New York Wall Street bankers who detest Washington meddling, Sao Paulo businessmen who hate corrupt Brasilia intervention, and Cape Town industrialists who oppose black political dabbling from Pretoria. In fact, a growing political party in Cape Town is demanding the independence of the city-state from South Africa. The third characteristic of the 21st century megacity is its demographic dynamism. Unlike Puritan Boston and Quaker Philadelphia, New York City was hell-bent on making money. Wall Street, Fifth Avenue, and Madison Avenue are global shorthand for finance, shopping and advertising. 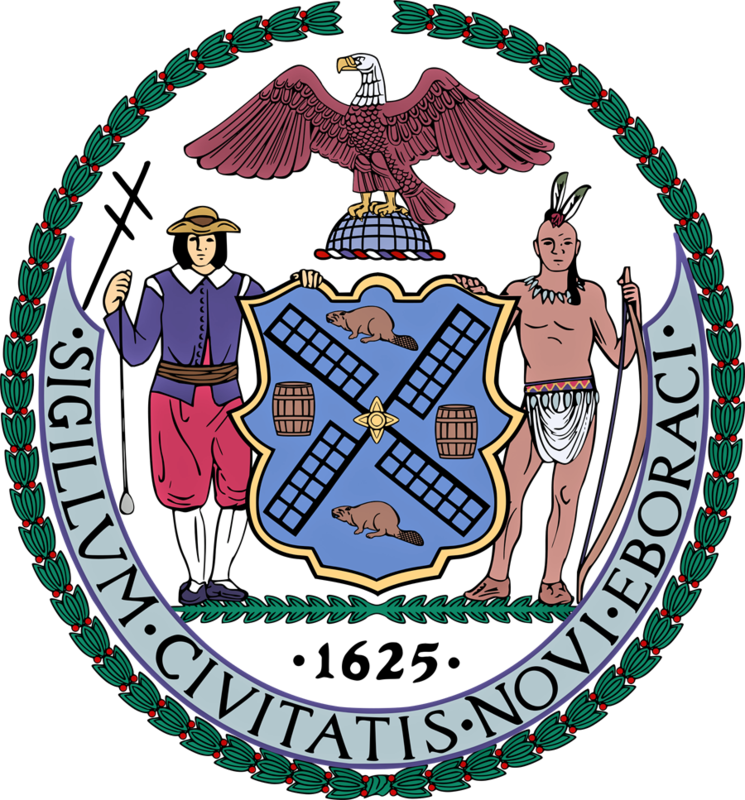 Even the city’s official seal illustrates the centrality of business to its identity: along with a windmill, it features two beavers (the beaver pelt was the leading export of colonial New Amsterdam and New York); two barrels (containing flour, the second leading export); and a Dutch sailor (with a Native American, a trading partner). The Seal of the City of New York. The Dutch founded New Amsterdam as a purely commercial enterprise; it was never intended to become the capital of a nation or an empire, but merely a trading post to export the beaver furs and grain to the mother country. It was only later that President Washington tied the fate of the city to the emerging new nation by nicknaming it the Empire City. Following New Amsterdam, the Europeans ringed the globe with coastal trading posts that would become megacities, such as Buenos Aires, Rio de Janeiro, Dakar, Lagos, Cape Town, Mumbai, Karachi, Singapore, Hong Kong, and Jakarta. The 16 ethnic and religious groups who made up the population of New York City at the American Revolution were followed by millions of other immigrants, from both the American hinterland and abroad, who came hoping to make their fortunes. New York shares with the other megacities of the world a common economic quest for wealth. The ambitious young person from Mexico, China, Russia, South Korea, or Pakistan casts his or her eyes to the booming megacity on the nearest horizon and sets out to achieve wealth and glory. They concoct business deals with a cousin in Paris, a brother in Singapore, a nephew in Shanghai, and a trusted friend in Rio, and taking advantage of off-shore shelters, shady deals, a bit of arm twisting, and good old bribes, hasten to plaster their names on family-owned hotels, restaurants, factories, and banks. Success is the common value that unites these flat world tycoons who recognize no national boundaries, no national loyalty, and no limits. The fourth characteristic of the 21st century megacity is its religious vibrancy. A massive 16th century cathedral still dominates the 35 million residents of Mexico City, but the suburbs and slums are ruled by evangelical and Pentecostal megachurches. Mexico City has a long history of generating new religions or radically reinterpreting old ones. In 1521, a dark-skinned Nahuatl-speaking woman appeared to an illiterate Aztec peasant named Juan Diego on the site of the demolished hillside temple of the Aztec goddess, Tonantzin Coatlaxopeuh. The result was the veneration of Our Lady of Guadalupe that blended the Aztec and Catholic religions into a syncretic Mexican cult. But as Mexico City joins the ranks of the world’s 21st century megacities, another form of religion is conquering the millions of poor migrants from the provinces, immigrants from other Latin American and Caribbean countries, and the growing number of Asians and Africans seeking their fortunes there. The Pentecostal movement was born in a small Azusa Street chapel in Los Angeles in 1906. It blended foreign immigrants, African-Americans from the rural South, Mexican workers, and rural white Americans fleeing poverty and the dust bowl into a new religious movement. Harvey Cox, in his landmark book, Fire From Heaven: The Rise of Pentecostal Spirituality and the Reshaping of Religion in the Twenty-first Century, argues that the turbulent mixing and clashing of cultures, religions, languages, and rituals in the growing cities produced new forms of religion. They stressed concrete signs of faith such as miraculous healings, speaking in tongues, spirit possession, and ecstatic trances. The turbulence of the modern city caused the Holy Spirit to again intervene in human history. The same force that demolished the barriers of class, wealth, race, culture, nationality, and language of Los Angeles is also sweeping the teeming megacities of the world. In Rio de Janeiro, Edir Macedo founded the Universal Church of the Kingdom of God, which has spread throughout Brazil, especially the 43-million strong Rio-São Paulo megalopolis, as well as the Portuguese-speaking countries of Africa, Spanish-speaking Latin America, and among the Latin American and African diaspora in Europe and the USA. In addition to Pentecostalism, the megacity is awash in old, new and revitalized religions. The Hindu Hare Krishna and Buddhist Zen movements swept American and Western European cities, the Church of Scientology, the African-American Nation of Islam, Lubavitch Orthodox Judaism, the Mormons, and the Unification Movement of the Reverend Sun Myung Moon are only a few that took root in American and European cities. The fifth characteristic of the 21st century megacity is its integration into a global network of cities. Shanghai and Rio de Janeiro have more in common with New York City and Lagos than they do with their respective nation-states. Mumbai’s 21 million official residents are part of the Delhi-Mumbai Industrial Corridor (DMIC) that extends from Delhi to Mumbai and contains a population of 173 million. The Portuguese founded the city in 1534 and the British incorporated it into their global trading network in 1661. In 2008, the Indian government made Mumbai the gateway of its centerpiece of the Delhi-Mumbai Industrial Corridor. The official video for India’s Delhi Mumbai Industrial Corridor (DMIC) megaproject. Over 30 million Indians live outside India with large populations in the cities of Britain, South Africa, North America, and the Persian Gulf. This Indian diaspora facilitates trade between Mumbai and the other megacities of the world that has proven successful and lucrative. Often the global economic objectives of Mumbai enter into direct conflict with the national political goals of New Delhi. The national government fears the growing power and affluence of Mumbai will result in increasing demands for more autonomy from New Delhi. The goals of national governments are often at odds with those of the megacities, a state of affairs well-illustrated by the political chasm between the megacity corridors along the American East and West Coasts and other large American cities, which are solidly Democrat, while the vast hinterland between the coasts is the stronghold of Republicans. The “Make America Great Again” campaign slogan targeted Rust Belt steel mills, West Virginia coal mines, Detroit auto manufacturers, and North Carolina furniture makers. The megacities forge forward in the areas of aeronautics, robotics, AI, communications, and education. Dr. Ronald J. 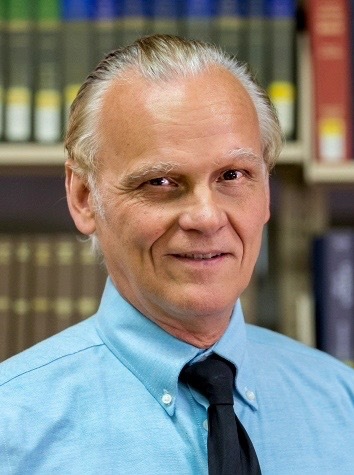 Brown is a professor of history, political science and ethnic studies at Touro College, and teaches courses in world religions at Unification Theological Seminary. A docent at the New York Historical Society with degrees from Harvard Divinity School, Hebrew University of Jerusalem, and the University of Geneva, Switzerland, Brown is the author of A Religious History of Flushing, Queens; Into the Soul of African-American Harlem; and How New York Became the Empire City. Photo at top: The Shanghai night skyline, taken in December 2014 (source: Flickr). Well, Dr. Brown, an interesting look at megacities, but I think your overall notion that megacities will shape the 21st century and beyond is a little overblown. Perhaps in certain other countries a megacity will be able to wrest city-state status away from the country it’s currently in, though that presupposes that somehow it will still retain access to the farms and foodstuffs in either that nation or can import them from others. In a hostile separation, that’s not going to happen as the larger nation state can militarily overwhelm it; certainly blockade it. In the USA, however, things are radically different. The whole structure of the electoral college and the House/Senate is to ensure large population centers cannot exert undue influence on the nation as a whole. NYC for example exerts a lot of influence in Albany, but not so much that the rest of New York State can’t negate its influence where it wants. Moreover, a city, no matter how large, is bound to adhere to constitutional norms, rights and duties as much as the most backwater rurality. So long as the constitutional system operates, no megacity in the USA will be able to exert the sort of influence or control, or even autonomy, that you or Friedman are suggesting here. I’ll point out, too, that your cited report states that 55% of the global population resides in urban areas, not megacities; big difference since an urban area easily includes a city with 50k or 200k population. You define a megacity as 10+ million population. Wikipedia shows 46 megacities today, so maybe your report’s out of date. This article says today there’s 8.3% of the global population in megacities. If Friedman or others are postulating the rise of such city-states in the future, then they’re also postulating the rise of more, not less, warfare, corruption and avarice on a scale not before seen. This is already occurring in the USA as the power base of leftists, socialists, anti-constitutionalists, etc., is in the cities, while the power base for conservatives, constitutionalists, traditionalists, etc., is rural. The rural-megacity fight is already underway in the USA, currently under control by constitutional demands. We’ll see how long people want to continue with those constitutional structures or break it all up for city-states to pursue their own agendas. Thanks for very insightful comments. Yes, I may have exaggerated the importance of megacities in the future but I believe that the struggle between the megacities and expanded urban zones like Boston to Washington, DC, and San Francisco to Los Angeles in the USA are already struggling for more autonomy. Air pollution, immigration, education, and other issues will pit the mega-urban areas against the national governments. Thank you for encouraging us to look towards life in the future with your discussion of the megacity. Also, Chris raised some issues that immediately arose for me. The rural/urban fights have been with us as long as there have been cities. Ancient Babylon was such a city and the story of the Tower of Babel we read in the Bible was no doubt the ruralist take on that city, believing God was against it. Cities have exploited rural areas for food and generally sucked resources and energy out of surrounding rural areas because they dominate the political systems. Here in Minnesota, taxes are levied on the entire state for light rail in the cities, sports stadiums in the cities, and other dreams of city planners and builders that are busy lobbying the state government. Many people in rural areas, sometimes three or four hours away by car, will never use these facilities, yet they are coerced into paying for them while they would much rather spend those funds on their own local infrastructures. After the Russian Revolution, the working class Soviets simply stole all the food from peasant farmers, causing massive starvation. The Republican/Democratic splits in the United States are more coming to represent this urban/rural divide. Cities or megacities will not be truly viable until such exploitation of smaller communities and rural areas stops. Cities have more power than rural citizens, and that power corrupts. For cities to be truly independent and viable long-term they must learn to avoid the corruption that inevitably accompanies them. Industrial-scale urban farming can also help sustain cities long-term. In Mumbai, there are indoor hydroponic gardens eleven stories high growing food. One interesting point about Rome was the pathway from indentured servitude (slavery) to becoming a Roman citizen. Many had upward mobility possible. Once a Roman citizen, one dropped much their ethnic past and became a Roman in lifstyle and culture. While pluralism flourished in Roman as in other cities, the life of a Roman citizen was considered better and something to work towards, while ethnic lifstyles from poorer rural areas were considered inferior. This notion was quite different from the Dubai Dr. Brown described with no path to citizenship there. The First Blessing in the Divine Principle is the sovereignty of the individual — everyone should become a “king” or a “queen” — this means the freedom to pursue one’s destiny. One may start out as a slave, or “servant of servants” and work one’s way up to full citizenship over time — citizenship being something earned by merit, rather than a “right.” I think that for megacities to survive in the long haul, immigrant workers need to have a path to citizenship or they cannot be expected to stay long-term, but view their jobs as temporary and the homes they came from as their permanent residence. I also liked the eruditon of the author, his culture, his very broad references. For the past 20 years, I have been thinking and writing a lot about the role of cities in peace-building, what is sometimes called City Diplomacy. This topic is actually addressed quite well by Dr. Brown, who stresses the diplomatic activities of some cities. However, I kind of have a more tragic view of cities. When the concept of total war was developed, especially in world wars, the traditional battlefield (the countryside) was often turned in a battletown. We remember Verdun (World War I, for the 700,000 casualties, both German and French, all in vain). In World War II, we remember Pearl Harbor, Hiroshima, Nagasaki, Coventry (United Kingdom), Dresden (Germany), Stalingrad. The atrocities committed in cities are sometimes so inhumane. Recently, I was in Phnomh Penh, Cambodia, a city which was so severely punished by the Khmer Rouge, who loathed urban life. Recently, Aleppo, one of the oldest and most beautiful jewels of the Middle East, was utterly destroyed. Cities can be paradise and hell. They are a demarcation line between God and Satan. “Two loves have built two cities,” Augustine says in the City of God, and this sentence is often daunting my mind, when I see what false love and true love can do to cities. I wish Dr. Brown could have seen the dark side that the city can have. After all, the Bible warns us about Babel and Babylon, not because they are intrinsically bad, but because they can serve the most terrible purposes. In Paris, some people have observed that all the religious monuments tend to face the East (the Orient, from orior to be born), while the humanistic monuments face the West, the Occident (from occire, to kill). The famous Arc de Triomphe is a typical example of a grandiose urban construction on the far west of Paris, at the very end of Champs Elysées, which glorifies Napoleon’s battles, where so many people died or were wounded. Cities often boast vainglory. My first question to Dr. Brown, therefore, is, how can we foster a real culture of peace in cities and megacities? How can we reduce criminality and evil doing in the Polis, or Civitas? My second question: what is God’s will for cities? What is their providential role? We know that in the Principle, God has a will for individuals, families, clans, peoples, nations, the world, and the universe, but the Principle seems to have no special view about the role of cities for God or for Satan. I wish we could come up with some philosophy of cities. Why do they exist? What for? I think that cities have a political, economic, and cultural role, but it seems to me that even more fundamentally, they serve what I would call a metaphysical role. I suggest that there is some aspect of God and of the human condition that can only be experienced in big cities. For instance, I feel that some aspects of the nature of God can only be revaled in huge cathedrals and mosques, or pagodas, or in universities, or parliament. The “city on a hill” is something that I sometimes felt in Washington, DC, a beautiful tribute to real glory, in many cases (especially the memorials). I feel that God has revealed something there, which He could not duplicate. It is not only a political capital, and Reverend Moon filled the place with God’s blessing to America and the world. Then, he said, “let us march to Moscow” (then the city of Satan). The holy role of cities may explain the role of pilgrimages to Rome, Jerusalem and Mecca. After all, the Messiah, Jesus, appeared in a very old city, Jerusalem. I hope that this aspect will be more discussed. Especially, True Mother is now building a city in Cheong Pyeong, our world capital of Cheon Il Guk. It is not mega at all, but already very spiritual and cosmopolitan. Reversely, I feel that there are some aspects of Satan which can only appear in cities. In the novel and movie, Death in Venice (Thomas Mann, Luchino Visconti), for instance, the beauty of Venice is described as extremely decadent and poisonous. It seems to me that humans go to cities to be saved or to lose their souls. This was a topic of many novels in the 19th century. Finally, I hope we can discuss about the hometown Providence, often mentioned by Reverend Moon. He urged all his disciples to go back to their hometown, small or big. Thank you again, Dr. Brown, for this excellent article. It opens to so many reflections. Thank you for your comments and insights, Laurent. Regarding your first question, “How can we foster a real culture of peace in cities and megacities,” I believe that the transient population of cities and the mere mass of people forced to live in close contact will force people to live peacefully if they want to survive. Even if they hate each other, they are still forced to cooperate. When I take the subway from Forest Hills to Grand Avenue, where I live in Queens, the conductors, token booth workers, cleaners, and security people all hail from all over the world and cooperate. Necessity will be a force for peace. Regarding question two, “What is God’s will for cities?” I answer that the city has always featured in world religions. New Jerusalem for example. There are no New Bethlehems or New Nazareths in the Bible. “If I forget thee O Jerusalem” is the call of Jews to return to the Land of Israel. Washington, DC, was built as a city to maintain peace between the free North and the slave South of the 13 original colonies. In the 21st century, the megacities will give rise to new religions that may well replace the old religions of the past. When I was in high school, we thought that fascism, which was what we called Nazism, was a revision to tribalism and a call to foul behavior at the behest of a tribal leader. That was the take-away from Lord of the Flies. But what is the Other of this ur-historical tribalism? To this point in history, it is the citizen and his privileged relationship to the nation-state. This is the view of the American Founders. The nation-state is created by an act of consent of the citizens, and the natural rights of the citizens are guaranteed by the nation-state, John C. Calhoun notwithstanding. By contrast, a vision of the future composed of megacities is of a piece with a new global world, which is not a state and has no intrinsic relationship with citizens. What, I would ask, distinguishes a utopian global society composed of megalopolises from the dystopian or fascist vision? Where does consent reside in such a vision? We can certainly look forward to an ideal global society beyond the boundaries and borders of today’s nations, but unless it is built on the patient building of consent in its constituent nations, the global polity will certainly revert to what the philosophical tradition calls tyranny. Today, Mayor DeBlasio would be excited by the idea of a city-led renaissance, but we should be wise enough to know that we can only be truly New Yorkers if we are first truly Americans. I believe that the rise of megacities will parallel the decline of nationalism. It is no use lingering in the age of the nation-state and nationalism. History is marching on into a new era, the post-nationalism era. Donald Trump and Putin long to make their respective nations “Great Again” but they are harkening backward rather than moving forward. The idol worship of nationalism is dying. The debate, in these pages and elsewhere, of “Headwing” thought I had hoped would help us as church members avoid simply duplicating the left-right conflict now approaching blue-flame intensity in the general population. I believe one approach to a centrist politics is to base political thinking on natural law, such as the claim that all men are created equal, and that we have the God-given right to life, liberty and the pursuit of happiness. This approach to politics requires a rediscovery because they have not been taken seriously since historians such as Charles Beard took them to be covers for class interest. Since students of Leo Strauss such as Jaffa, Arnn, West, Kesler, and Erler have performed the archaeology of recovering their meaning, we can now see them in a true historical light, and attempt an evaluation of their significance for us. Most critical has been the recovery of the founding period and its grasp of citizenship and the social contract, and the political significance of private property. For those unaware of this philosophical movement, I must point out its importance in these discussions of globalism, borderlessness and the content of citizenship. I am grateful for the wealth of information provided by Prof. Brown in this post. Here is one statement I find dubious: “Great cities created the great cultures and civilizations of humanity. The rulers of Memphis in Egypt, Ur in Mesopotamia…” In New York City, middle school students are taught that the first civilization was formed in Mesopotamia far north of Ur, and not in a city. Residents decided to build a canal carrying water from the Euphrates River to further nourish fertile soil. For this they needed coordination, and that required reliable communication. For these, they invented writing and established a central priesthood, etc. — in other words a civilization. The center may or may not have developed into a city. A very great writer on cities is Thomas Berry, SJ. Isolated farmers and farming villages could not have rallied the manpower and money to build a canal. They needed a strong king, heavy taxes, engineers, written blueprints, administrators, and even divine approval to undertake such a major job. “Residents” did not decide to build a canal, it was the central government. Of course coming from a small town in the Siberia of the Erie (Catholic) Diocese (PA) my dream was to move to a city (NYC). I will check out Fr. Berry. Part of the modern fascination for cities, and especially megacities, may trace back to the myth of Prometheus, who robbed the fire from Zeus and gave it to human beings. When you travel in some third world countries at night, you really experience pitch dark in the rural areas, and only dim lights in villages. Cities have appeared to keep the physical fire in homes and houses, later buildings, but also to enlighten citizens through education. Dr. Brown’s article is illustrated with a picture of a flashy nighttime skyline. In the modern cities of the industrialized world, electricity is triumphant. As soon as you travel in the developing world, you immediately feel the difference. And probably it is not good to have this excess of external light but also of non-stop, “live” information. The enlightened citizen can easily become addicted to 24/7 “news” and “breaking news”. Our being excessively connected through electric impulses does not mean that we are always connected to the inner light, the “city within”. When Reverend Moon arrived in New York, this is where he identified himself as a “fireman”. He felt that God had deserted the Big Apple. He did not hate the city itself, but was concerned by the place of God and spirituality in the city of the Lady with a Torch. In France, the old name of Paris was Lutetia, from Lux, the light, and the second city of the country, Lyon, comes from Lugdunum, the gift of light. The city is famous for its light festival and also for its two hills: one is the praying hill where the Catholic basilica was built and which symbolizes the inner light, or Abel light. The other is the working hill and Lyon was the cradle of the industrial revolution in France. It is the symbol of the external light, the Cain type light. There has always been a tension between these two lights in Lyon, but social Catholicism made efforts to embrace the working class and keep faith strong. In Europe, we can sometimes see a strong divide between two types of industrialization, one which resulted into complete secularization, the other which maintained more harmony. The United States has been more successful in making their “cities on a hill” with the lights of internal truth and external truth working together. This is where the city reveals its ambiguities and where we have to mobilize the heavenly forces. Las Vegas is saturated with artificial lights. But our True Parents, instead of blaming the sin city, decided to teach the Principle there. Let us go into the hearts of the cities with the torch of Truth.